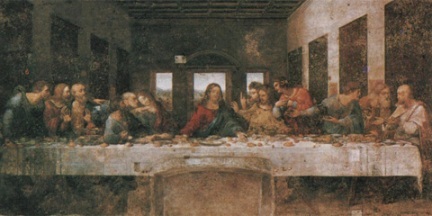 The Last Supper hidden secret was found by an Italian computer analyst by superimposing a reverse image over the original image of the world renowned Leonardo Da Vinci’s Last Supper religious painting. This painting has recently received an increase of publicity due to it’s reference in Dan Brown’s book “The Da Vinci Code”. This entry was posted on Tuesday, July 31st, 2007 at 9:29 am	and is filed under Interesting Stuff. You can leave a response, or trackback from your own site.